In the past, people often made high-quality materials out of it and it was commonly used in medicine. Today however, it is perceived as a dangerous and illegal drug. Let’s get a closer look at this incredible plant. There are not many people who may claim that they have never heard of cannabis or used it one way or another. Marijuana, which is produced out of it, is often described as harmful. 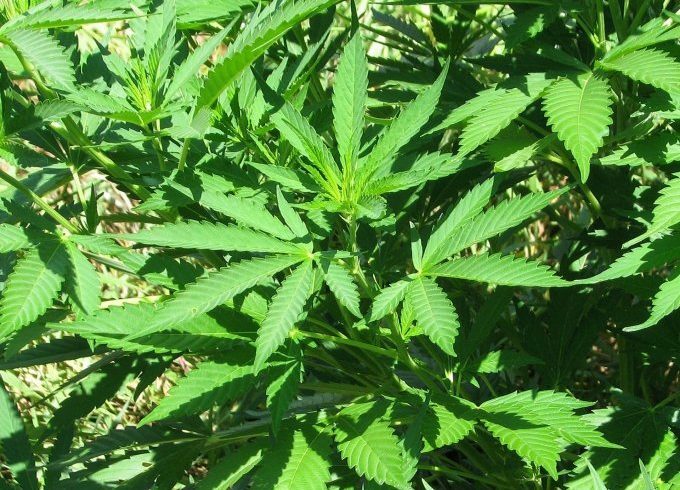 Today, it is illegal in most countries and is considered as highly addictive, which is at odds to the well known facts, considering the use of that plant and its influence on human life in the history of some civilizations. Fortunately, in the past decade the awareness of that matter has increased and common opinion about marijuana is starting to change, so there is a chance that everything will be normal again. Cannabis is believed to be one of the first plants cultivated by people, who have already discovered its usefulness thousands of years ago. The number of ways in which cannabis can be used is really impressive, starting from building materials and ending with medicine. Considering the potential of cannabis, its current reputation may be surprising. Cannabis is an annual, dioecious, flowering plant, originating from the Central Asia, and more precisely from the region which is now a part of Mongolia and South Siberia. There are two subspecies of it: the Cannabis Sativa and the Cannabis Sativa L. – commonly known as the industrial hemp. Although, the second one doesn’t have psychoactive properties as its cousin does, they were both cultivated and used in ancient times. The first reports of cannabis cultivation comes from China and are dated to 5000 years BC. There are number of historical and archeological proves that the plant was commonly used in China in the production of clothes, ropes and paper, but its seeds were also processed into oil and food. The first time cannabis was used for medical purposes was the reign of the emperor Shen Nung. At that time it was successfully used to ease pain and arthritis. After cannabis has spread in China, it got to Korea about 2000 years BC and then about one thousand years later to India. Indians discovered many practical using of cannabis, and the same as Chinese people, they used it to produce textiles, food and powerful medicines. There are also proves that cannabis was cultivated by Scythian Indo-European tribes in the Middle East about 1400 years BC. And thanks to them, cannabis get to the regions of today’s Russia and Ukraine, and from there it has spread to the rest of Europe. In the following years, because of the Middle East’s influences, the cultivation of cannabis has also started in Africa. At that time cannabis has already spread throughout Europe and Asia. The knowledge considering the cultivation and use of cannabis have been passed from one culture to another. For all of these civilizations cannabis quickly became one of the most important cultivars. At the beginning of the 19th century cannabis got from Africa to the South America and Mexico. It wasn’t long before along with many immigrants that were crossing the border in years 1910-1911, cannabis also got to the United States of America. It was more or less the time when the centuries of peaceful and common cultivation of cannabis has ended. And the frenzied, infamous war with drugs has begun. Marijuana usage was linked with criminal offences committed by migrant Latinos, because of which it started to get a bad reputation in society. It was defamed in number of newspapers and magazines, and in the result marijuana has been criminalized in the United States of America. The first state that delegalized marijuana in 1915 was Utah. Many other states quickly followed it and in 1929 marijuana became illegal in 29 of them. In 1937, in association with Federal Bureau of Narcotics and commissioner Harry Asslinger, the so-called “Marijuana Tax Act” was introduced, which delegalized the possession of marijuana in the whole USA. The law concerned both psychoactive cannabis and industrial hemp, even though the second one doesn’t have any effect on humans. Many people suspects that it all happened because of the powerful chemical and paper lobby, which was threatened by the possibility of common industrial hemp cultivation in the USA, as it might have endangered their businesses. That is why they used their influences and resources to press the government, which was aimed to criminalized this wonderful plant, not only in the United States of America. Today, federal government still classifies marihuana as the I class controlled substance, which is supposed to evidence its high addicting level and very negative influence on the society, without possible use in medicine. Apart from the fact that it is still illegal in most states and in almost every country in Europe, the view and attitude of the society towards cannabis is slowly changing. In 1976 Holland legalized marijuana use, and then in 1980 retail sale was allowed in popular “coffee shops”. Lately, a number of cannabis social clubs has been established in Spain, and there is much talk of responsible marijuana use. In Czech Republic marijuana was legalized but only for medical purposes, and patients with valid prescriptions can buy it legally. Unfortunately, Czechs have problems with the appropriate level of its production, which would meet the big demand for marijuana on medical market. In the few recent years, thanks to the fact that many dedicated to the case activists have systematically been increasing the awareness on that topic, the opinion on marijuana has changed also in the cradle of its prohibition, which is the United States of America. Currently, thirty two states have already legalized its use for therapeutic purposes. Together with growing number of researches and scientific proofs considering medical potential of marijuana, it slowly makes its way back to the big part of society. We hope that long and rich tradition of using that plant by humans will grow, and some way we will remember about how much it can offer us, in medicine as well as in economy, the same way it was in the past. Name „cannabis”, commonly used around the world, comes from the Greek word κάνναβις (kánnabis), which was originally a Scythian word. Also, commonly used name “hemp” for industrial hemp, has its origins in Scythian language. Later on, these names were acquired by most languages of the Indio-European tribes. In the Oxford English Dictionary the term “Cannabis sativa” was firstly used in 1548. The name marijuana has more folk origins. 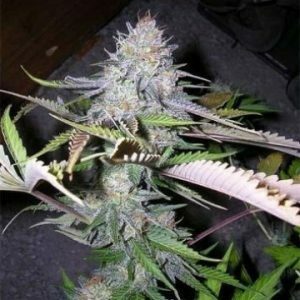 Supposedly, it was originally created in Mexico among local users of that plant and it is associated with the female name “Maria Juana”, which is very popular in that country. However, it is still not clear where did it come from. The term was the most popular in 1930s, when people wanted to give some more exotic, foreign name to the well-known “cannabis”. That way, the image of harmful and highly addictive cannabis was created, so that the ordinary man in the street could be scared away. Another theory is that the word “marijuana” comes from the Chinese word “ma”. Some people believe that Chinese called dry cannabis “ma ren hua”, which literally means “hempen flower from seeds”. Perhaps the name was later on acquired by the Spanish settlers in both Americas, but no one knows it for sure.